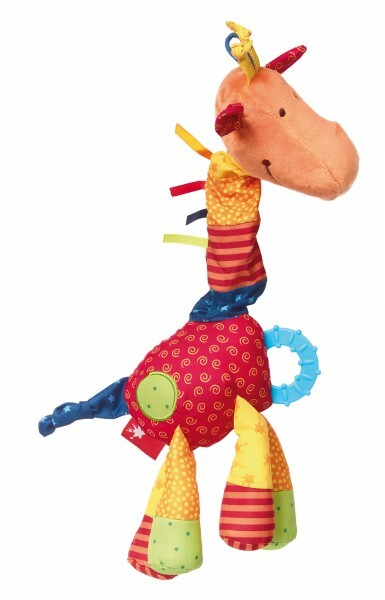 The soft little activity giraffe with many lovely details and features for exploring, discovering and learning. 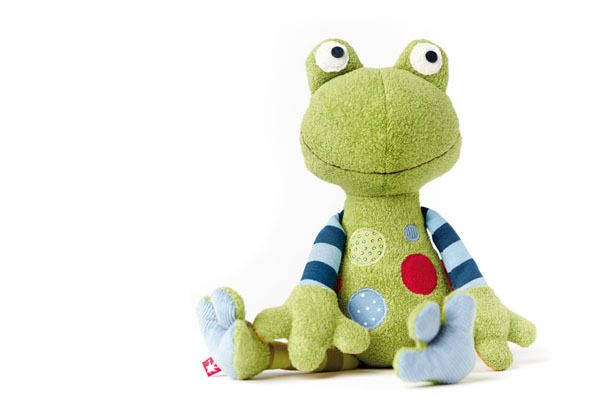 It's funny, colourful and awfully clever: Exciting sounds stimulate curiosity and a little shaped stone in the foot puzzles little ones. 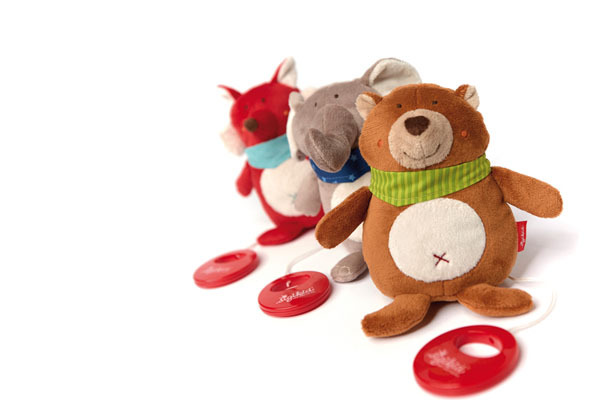 With squeaker, rattle and rustling foil and a teething ring that calms babies when the first teeth start to come in.